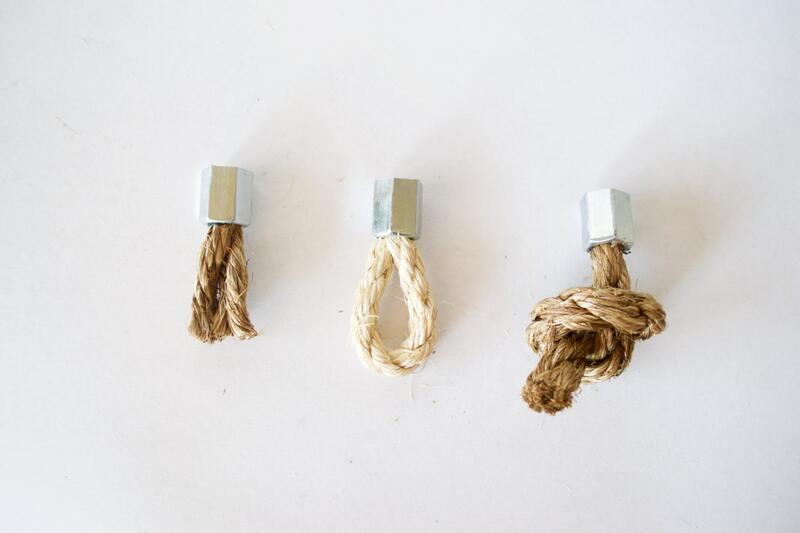 These rope knobs are designed to perfectly match our hexagonal rope pulls ( www.etsy.com/listing/150984731/ ). 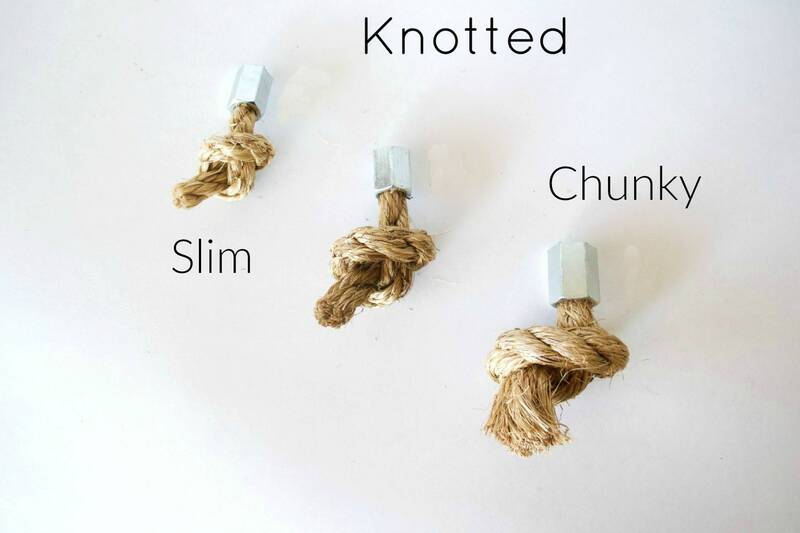 We offer 3 different design options on the rope: knotted, looped or frayed, so that you can find the right knob for your furniture piece. 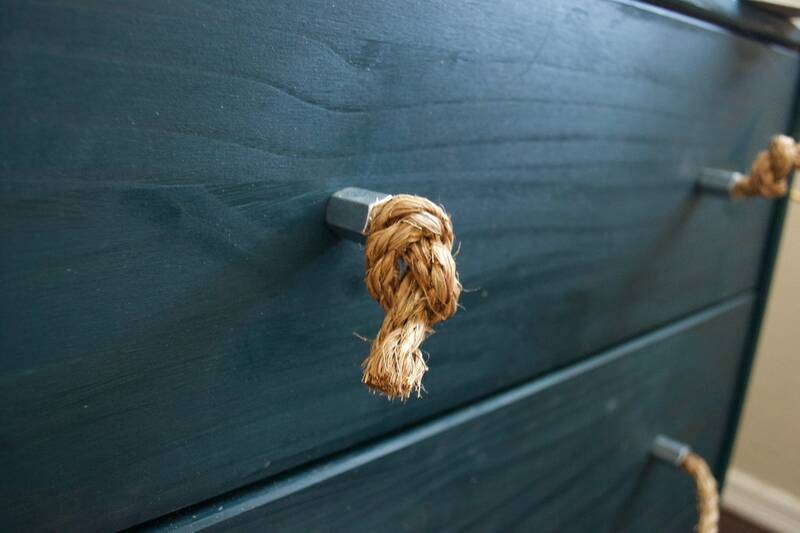 We use manila rope and plumbing supplies to create a perfect knob to add to your farmhouse or nautical design. 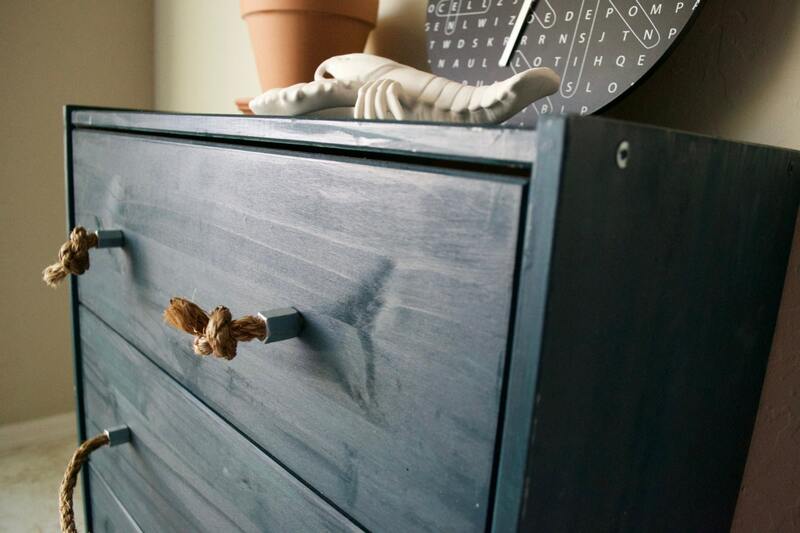 We have an unique finishing process that allows the knobs to be easily attached to the drawer with a provided screw using the existing screw holes (all you need is a screwdriver!). We offer different size options. 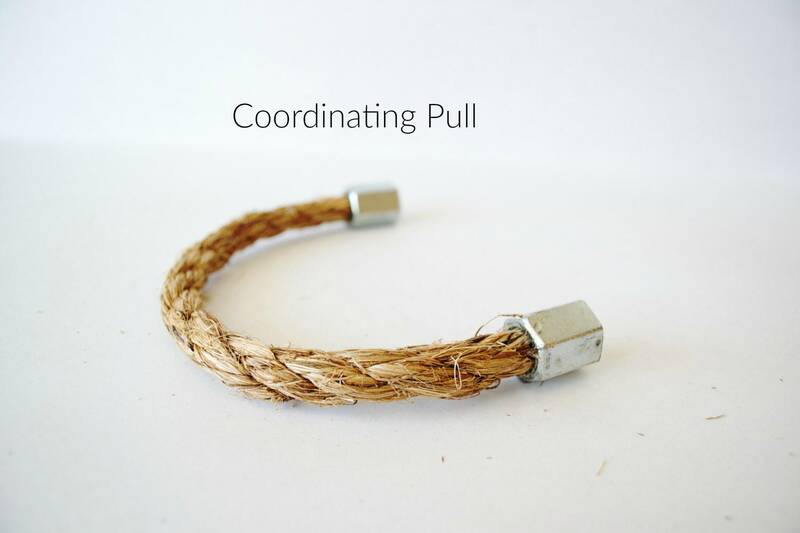 If you are purchasing coordinating pulls, we will match the fitting size to those (based on your selection of chunky or slim). If you are purchasing knobs alone, we can recommend a size based on your style needs. As we customize this piece, we can send you pictures of the raw materials so you can be sure we are on track to match your expectations. Price is for one knob. Let us know in the notes if you have a specific request! -- Using Natural Manila (pictured, brown), Natural Sisal (off white), or a soft cotton rope with many color options (great for a kids room)! If you are looking for other hardware like those shown above, please see our other offerings, or send us a convo! Our knobs are fully tested before shipment, and we guarantee repair or replacement if you have any issue with durability (if used as intended and unmodified). For small orders, please allow 1-2 weeks to receive your pulls. Larger orders will take longer depending on the amount. If your order is over $100 use coupon code SHIPFREE to get free shipping! How do the knobs and pulls attach? 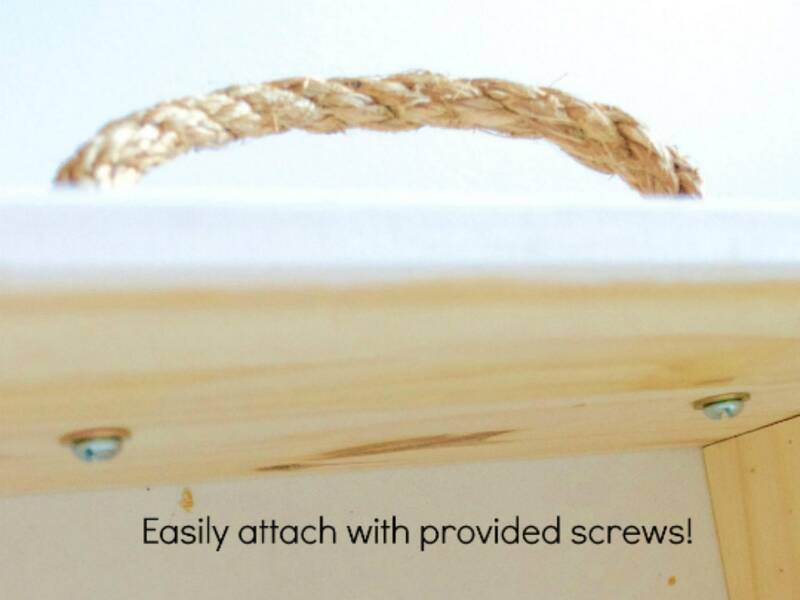 Our design allows you to attach all of our pulls and knobs with a simple machine screw. We provide a 1 1/2" length screw to attach to a standard drawer front (1-1 1/4" thick). We can accommodate requests for different length screws, if the preferred length is indicated before shipment. If a different length is required at a later point, we use 10-24 screws for small, large and x-large and 1/4-20 screws for medium; mini varies: please contact. 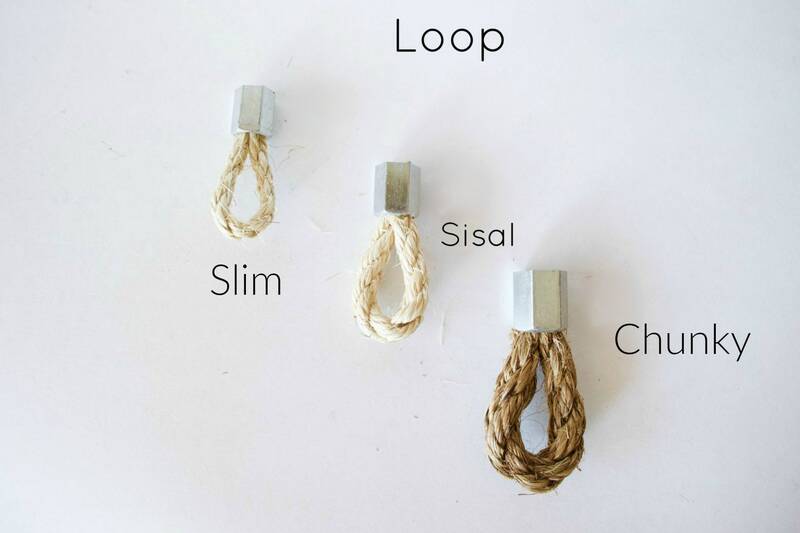 What Size Rope Should I Purchase? The feedback we tend to get back from customers is that "we didn't realize how big the pull were going to be". That being said, some people love the large chunky look and others exchange for a smaller pull. 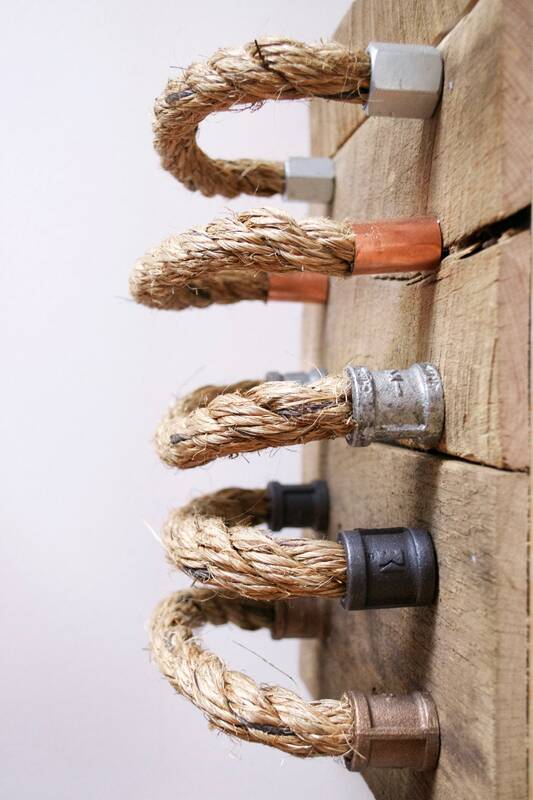 Therefore, when in doubt, we recommend ordering a smaller rope diameter. What is the Projection of the Rope Pull? This depends on which pull design you are interested in. For the right angle pulls, the projection is right around 1". For the straight pulls, the minimum projection is ~2" and will be more depending on the hole spacing and length of rope used. If you are interested in a specific pull, we are more than happy to answer specific sizing questions. Just shoot us a convo! Do You Offer a Discount for Large Orders? We offer free shipping for any order over 10 items. Please contact us for specifics on discounts for very large orders. This is very dependent on lead time, our stock availability, and current pricing of parts. We try our best to pass discounts on to the customer if at all possible. We use classic sisal and manila rope. 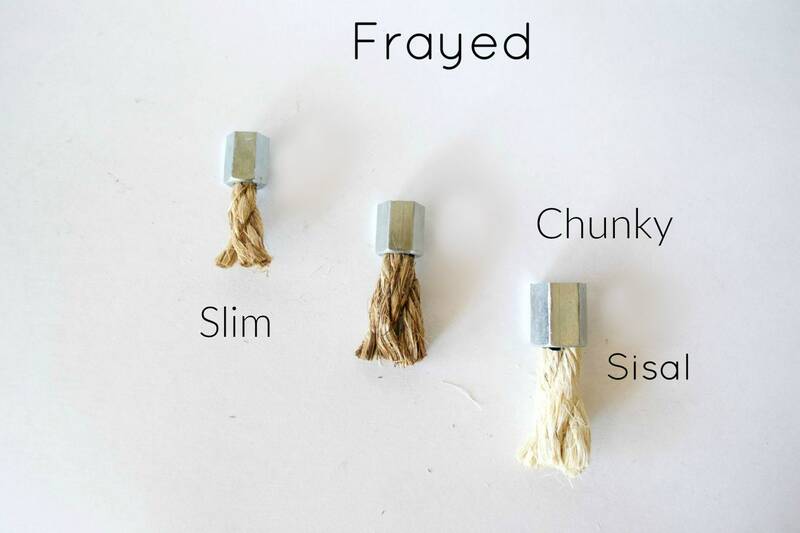 We trim stray pieces, so the rope is not extremely rough, but we generally wouldn't recommend it for kid's spaces. We do offer a cotton rope option for kid's dressers, playrooms, etc. If you are interested in this option, please contact us about a custom order.